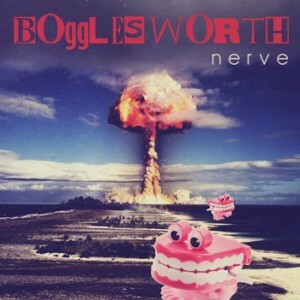 BogglesWorth: “NERVE” – If you dig perfectly cultivated distortion, fat beats and catchy tunes, then this is the stuff. 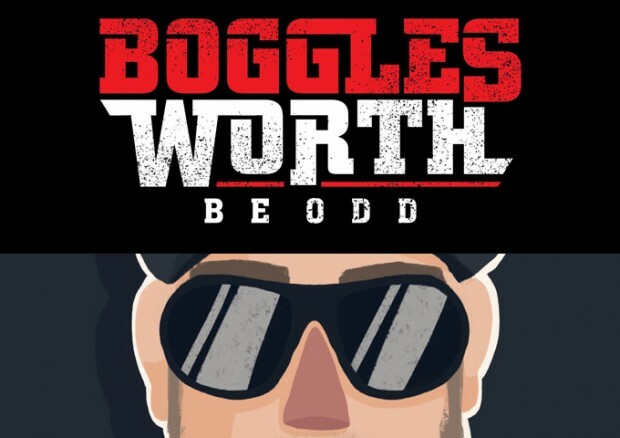 I have thoroughly enjoyed the majority of BogglesWorth’s previous works, and his latest release – the “NERVE” Ep – does not disappoint in any way. Every track is easy to listen to. It’s one of those productions that you will enjoy playing in its entirety, not just download a one or two tracks to your iPod and forget about the rest. This is good old fashioned Progressive Electronic Music from BogglesWorth. 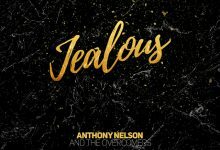 And if like me, you were in anticipation of any new stuff after his previous releases, this 6-track electronic exploration will be a great addition to your library. From track one, “Beeper”, I instantly liked the creative synth use and the modulated bass movements, while the resonance between the melody and the rhythm is comprehensively hypnotizing. And it just get better from there on out. As a whole, “NERVE” is full of dense bass-lines, heavy drum hits, and riveting breakdowns. BogglesWorth is able to produce thick soundscapes punctuated by driving drumbeats. The sum total of this is a quality Ep with solid replay value. The best way to listen to this is while driving or exercising; as it is upbeat enough to keep you energized but the overall lack of vocals lends itself beautifully to becoming superb background music to activities that need to keep your senses operative on all levels without being overly intrusive. The music on “Bill Clinton” and the title track, “NERVE” can set you off into a dreamy bliss or make you bob your head to its catchy synth riffs and booming drum-lines. The rhythm never gets too monotonous to bore and the build-break-drop patterns iterate so quickly that it almost produces melodies of their own. BogglesWorth proves that he can make music that is equally well-suited as a soundtrack for work or for play, with “NERVE”. If you dig perfectly cultivated distortion, fat beats and catchy tunes, then this is the stuff. “NERVE” is an electronic Ep that’s crafted from pure awesome. The drums and bass-lines in “Scottie’s California Cornflakes” and “E.Z.” are spectacular, and the electronica in “Blue Tuesday” is amazing to say the least. This is music which washes over you, oozes into your soul, and digs its way into your sub-consciousness. “NERVE” is best listened to with some serious volume or quality headphones. Not to mention that a couple of tracks here will well and truly really blow the club dance-floor to shreds! Once again BogglesWorth delivers an extremely well-produced and put together release. His mesmerizing beats and interwoven layers will make you see electronic music in a different way. Each song on “NERVE” can stand alone, and yet each song fits perfectly next the others. The entire Ep is solid. BogglesWorth knocks it out of the park with this one! 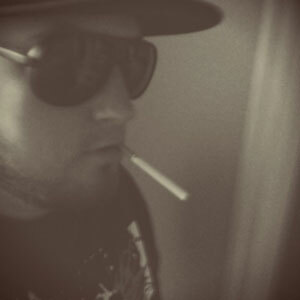 MORE ABOUT – BogglesWorth is an Electronic Music Producer from Southern California. Using digital/analog synths with earth shattering beats, he creates a unique underground sound. Not a fan of genre, he believes music is a form of art, let it stand as it is and be appreciated. This mysterious producer is hard at work cranking out gnarly tunage and bringing originality back to music. Created from obscure and unconventional, fueled by strange, BogglesWorth is bizarre, peculiar, awkward and just a bit weird. From his music to his life, this rebel is always pushing the limit.